I am a guy who likes acronyms, so I thought it would be a good idea to present the INTEGRATING EDUCATIONAL TECHNOLOGY acronym of Web 2.0 Tools. This might just be what can help prove how much is out there that you can use in the classroom! I is for iTunes. A valuable asset for music, books, audio, and video. If you are not using iTunes in the classroom yet, you are really missing out on a valuable resource. T is for Tagxedo which is a wonderful tool for creating word clouds. 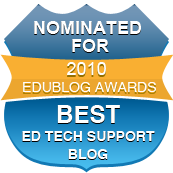 E is for EduTecher which is a website and Smart Phone app for learning about various Web 2.0 tools. G is for Glogster which is a wonderful digital poster board creation tool for teachers and students. One of my favorite tools available in the Web 2.0 category. R is for Resizer.co which is a website that makes resizing images simple and easy. Great for presentations. A is for All My Faves which is a website that provides links to the most popular websites in various categories as well as weekly favorites as well. An easy way to find trending websites. T is for Todays Meet which is a great option for backchannel chat. I is for Instapaper which is a valuable tool for saving websites you want to look at later, but might not necessarily want to bookmark it just yet. Great for articles and student work. N is for Newspaper Clipping Generator which allows students to create a clipping from a newspaper. Great for an addition to a project. G is for Go Animate which provides students and teachers the opportunity to easily create cartoons. E is for EmbedPlus which provides valuable tools and additions to YouTube videos. D is for Drag On Tape which allows you to create online video mixes. An easy way to share multiple videos with students that you want them to watch. U is for Urtak which is a simple and easy way to get peoples opinions. Yes, No, and Don't Care. Have a project or question you want to ask students? Here is an easy way to do it. A is for Animoto which is an easy to use Digital Story Telling Tool with a lot of cool features. T is for ToonDoo which is a comic strip creation website with plenty of features. I is for iDroo which is a collaborative whiteboard that you can integrate with your Skype Account. O is for Online Stopwatch which is a great way to help students manage time on assignments in class or while taking a test. N is for NextUp which allows you to easily manage the time you spend on instruction in the classroom by providing a countdown for each activity in your daily lesson plans. A is for Ahead which is a presentation tool similar to Prezi that provides a non-linear presentation creating space. L is for Link Bunch which provides an easy and simple way to group several URL's together into one URL. Great for creating links for students working on projects. T is for Twitter, which is a valuable tool for connecting with students, parents, and other educators. E is for Express SMART Notebook Software which is a free online version of the Notebook software that comes with SMARTBoards. H is for History Pin which is a website that allows you to pin history on a map by putting older pictures with current places. 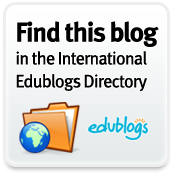 N is for Ning which allows educators to create free social networks. Great to use with districts, schools, and classrooms. O is for One True Media which is another great option for Digital Story Telling. L is for Learn it in 5 which is a website that provides videos for learning about Web 2.0 tools in five minutes. Several from this list are featured. O is for One Word which is a site that provides a word and then a space to write a story, essay, poem, or free write about it. G is for Go Poll Go which is an option for creating polls online to get opinions from students, parents, the community, or visitors to a web page. Y is for YouTube which provides very valuable videos to show in the classroom. Creative people are sharing creative videos.